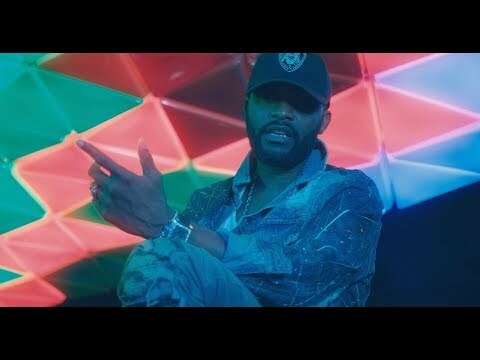 Easily one of the hottest stand out tracks off Fally Ipupa’s critically-acclaimed “Tokooos” album which was released in July 2017, “Tout Le Monde Danse” rocked our worlds from the very minute it dropped, and we’re still very crazy about it. Without a doubt one of Africa’s music heavyweights, Fally Ipupa has consistently come through for lovers of his craft with his very best of efforts, thus earning himself an incredible fanbase across DR Congo and beyond. The multi awarding winning Congolese singer-songwriter, dancer, philanthropist, guitarist and producer particularly took 2017 by the balls when he released the 18-track “Tokooos” which contained hits such as “Nidja” featuring R-Kelly and “Yakuza” featuring Wizkid. “Tout Le Monde Danse”, one of the tracks on the album is undoubtedly one of Fally’s best performances in our book, and it manages to pack virtually everything we’ve come to love about the gifted artiste – his vocal dexterity, brilliant lyrics, and his uncanny ability to get you moving your body even when you don’t mean to. Vibe with us to the infectiously groovy “Tout Le Monde Danse” right away if you haven’t already got a taste of the firecracker. Remember to share your thoughts with is in the comments section below afterwards.